Huge Easter Sales + Free Delivery & Triple Points! CraftStash have some of the best craft deals you are going to see all Easter in this week's CraftStash Newsletter! Free UK Delivery All Easter Weekend! Starts: 19th April 2019 Ends: 22nd April 2019 - Midnight! Starts: 20th April 2019 Ends: 22nd April 2019 - Midnight! Triple Loyalty Points On All Orders - One Day Only! Starts: 21st April 2019 Ends: 21st April 2019 - Midnight! 10% Off Everything - One Day Only! Starts: 22nd April 2019 Ends: 22nd April 2019 - Midnight! New Tonic Studios Launch + Even More Sales! Knowing how much our crafters love Tonic Studios we wanted to bring you more details on their latest launch to help you get the most out of promoting this range on your blogs, videos & websites over the weekend & into next week. We've also got a ton of sales coming up too that we didn't want any of our affiliates & influencers to miss out on! Save 10% Off Dawn Bibby's Unicorn Collection! Starts: Now! Ends: While Stocks Last! Get 15% Off Selected Craftwork Cards Ranges - 72 Hour Special! Starts: 14/4/19 Ends: While Stocks Last! Last Chance To Promote The Following Huge Deals! Starts: Now! Ends: 13/4/19 - Midnight! 15% Off Our Biggest Exclusive Craft Brands! Make sure you don't miss out on featuring the coupon code below on your blog, videos or website before Saturday at Midnight GMT to boost your affiliate revenue for April. This week we have some amazing deals in the run up to Easter that cover both children & parenting craft ideas as well as inspiration for the more traditional crafter. In this newsletter we have something for everyone no matter their style of crafting or age group! Stunning paper and decopage supplies from only £2.99. The complete kit for all your special occasions! Die-cutting Essentials Special Edition 9 is packed with 58 inspirational ideas for weddings, anniversaries & more! Punch any word with perfect alignment and spacing for beautiful gift tags, banners and more! It creates both positive and negative stencil type letters & you can punch ten letters at a time. Starts: Now! Ends: When They Are Gone Their Gone! Get 20% Off When You Buy Any 3 Tonic Studios Essential Dies! This week we have a huge treat for anyone who has ever wanted to create beautiful personalized wedding invitations, party favors or customized gifts! Manuscript are the latest brand added to our stunning range of calligraphy & hand lettering supplies. Get your pens, inks, nibs & wax seal kits now in stock at CraftStash. Over £500 worth of Tonic Studios prizes to be won! This weekend only we are offering a free gift with every order over £25/$33 - which will be auto-applied to the customer's basket at the checkout. Please see below some more of the best offers we are giving customers this weekend to celebrate the start of our huge Christmas sales! Save Up To 50% On Christmas Craft Supplies! Create Your Own Festive Garlands, Crackers, Christmas Trees & More! Get Up To Four Free Craft Gifts When You Order! I wanted to let you know that this weekend & next week Christmas has come early & we are giving away up to four free dies with orders! Collect the entire Apple Blossom Snowflake Babies die cutting collection for free this weekend & next week until midnight Wednesday. £5 Off Selected Cricut, Copic, Silhouette & More! This weekend we have a very special deal running all of Saturday & Sunday, we are giving away a whole £5 off our super Christmas sale category full of really exciting products. Convert any of the above links into affiliate links by just using the AWIN Link builder. In your account simply go to “Links & Tools” and then “Link Builder” and follow the short guide on creating deep links to get started. To celebrate having Sizzix designer Pete Hughes on our latest Facebook live broadcast we are going Sizzix crazy all weekend! We also have some amazing & very generous discounts on a huge amount of craft supplies over the weekend. Spend Over £18 On Any Sizzix Products & Get A Free Distress Oxide! Up To 85% Off Crafti Potential Dies & Stamps - Prices From Just £1.95! I know a lot of crafters adore using distress inks so we really hope that your audience snap this offer up over the weekend. Feel free to use these amazing deals & latest product launches within your posts to attract more sales through your site & social media channels. In case you didn't know already, every new customer can save 20% on their first purchase just by signing up to our customer newsletter. Save Up To 70% Off In Our Christmas Mega Sale! Discover amazing savings on a wide variety of branded dies, stamps & accessories. 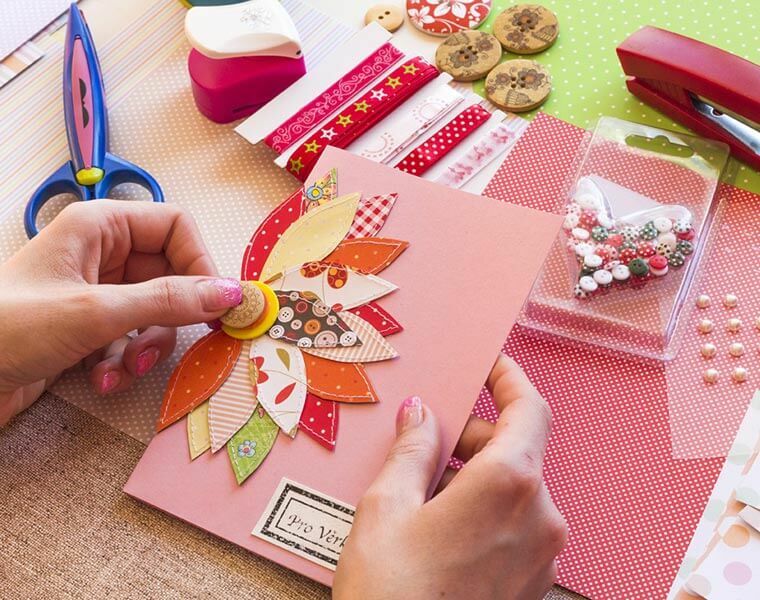 Poppy Crafts Dies, Stamps & Embossing Folders – From Only £2.99! In your account simply go to “Links & Tool” and then “Link Builder” and follow the short guide on creating deep links to get started. We wanted to make an extra special announcement that we are giving away an adorable free gift with every order this weekend – you may remember this super cute penguin die set from last year! Free Apple Blossom Snowflake Penguins Christmas Dies! Get this cute penguin set free when you order anything from CraftStash this Saturday & Sunday. Make sure to shout about this on your blog as we want every crafter to know about this very lovely free gift worth £9.99! Up To 80% Off Tonic Studios – While Stocks Last! Remember that at CraftStash we now have free shipping over €40 for all our Irish, Dutch & German customers – we are keen to get this news out to papercraft enthusiasts so make sure to mention this on your site or videos. This week at CraftStash we have a very special announcement for all our Irish, Dutch & German publishers – we now have free shipping over €40! We are so excited that we are in process of creating banners for our new international free delivery offer – if any of you are interested let me know & I’ll be happy to send artwork across. We are also looking at partnerships in these countries so if you are interested in grabbing an exclusive code for your site get in touch. All New Refer A Friend Scheme – 8 Banners Now In Your Creative! Get rewarded when you introduce a friend to CraftStash. Refer a Friend and get a bonus 500 loyalty points when they place their first order in September. They'll get 20% off their first order too, so everyone's a winner! No limit to how many friends you can refer! Stay tuned for landing page & exclusive news. Keep your eyes peeled for next weekend’s amazing free gift offer – if you have signed up to our customer email on the site you’ll be the first to hear about all our most exciting deals and offers coming up. In this very special newsletter we have some of our biggest discounts of the year! We have also created new creative banners & artwork especially to celebrate our new refer a friend scheme that you may remember that we mentioned last week. All New Refer A Friend Scheme – 8 New Banners Now In Your Creative! Refer a Friend and get a bonus 250 loyalty points when they place their first order. No limit on how many friends you can refer! Bundles Are Back - Huge Savings On Everything! We wanted to wish you a very happy bank holiday weekend from all of us here at CraftStash! - To celebrate we have a free shipping weekend & our brand new refer a friend scheme! Use these deals within your blog posts this week to attract more sales through your blog, website or Facebook group. You can include links anywhere in your post, whether it is a craft tutorial, product review or general deal roundup. Love CraftStash? Get rewarded when your friend shops with us! Refer a Friend and get a bonus 250 loyalty points when they place their first order with us! They'll get 20% off their first order to so everyone's a winner! Is there a limit to how many friends I can refer? No! You can refer as many friends as you like, you can even put your unique link or code on craft groups to spread the word! When will I get my bonus points? You will be automatically awarded 250 points when your friend places their first order with us. As with all of our loyalty points, you have 1 year to spend them. Introduction Offer: This weekend Only Get Double Points For Every Friend You Refer! New Launch Discounts  Brands & Ranges! This weekend we are having amazing offers throughout our range of dies, stamps & embossing folders. We think these promotions would work great when posted on your site or social media platforms. Up To 70% Off Crafts This Weekend! We hope you are enjoying being part of the CraftStash Affiliate programme. This is a very special newsletter with some of our biggest discounts of the year! None of the deals below are under 40% off and go as high as 70% off - We are sure your readers will love every single offer! We hope you enjoyed this bundle spectacular. We are sure this will bring you a ton of traffic from crafters around the world. We hope you are enjoying being part of the CraftStash Affiliate programme. We wanted to bring you an amazing free kit offer that every crafter is sure to love, post on your blog today to get some amazing comissions from your audience. Spend £15 On Apple Blossom Crafts & Get An Amazing Free Kit! We hope you are enjoying being part of the CraftStash Affiliate programme. We have another newsletter packed full of brilliant offers running all weekend & into the next that your audience are sure to love. Remember if you include any of the above deals in a post dedicated to CraftStash we’ll give you a shout-out throughout our social media channels as a thank you. This will give you an amazing boost in traffic to your blog. We have another newsletter packed full of brilliant offers running all weekend & into next week that your audience are sure to love. We also wanted to give a very warm welcome to all of our new publishers from the Netherlands, Norway, Sweden, France, Germany & the USA – we can’t wait to see what you post in the coming weeks! 4 For £18 On Brand New Tim Holtz Distress Inks – Amazing Value! Best Priced On New Chameleon Pens! CraftStash deliver worldwide so remember no matter where your site is based all of our offers are valid unless stated otherwise in our terms & conditions. Let me know if you need anything else at all. We hope you are enjoying being part of the CraftStash Affiliate programme. We have another newsletter packed full of brilliant offers & flash sales that your audience are sure to love. Looking forward to the big England match tonight? – We have some amazing sales coming up this week to celebrate the World Cup – Don’t miss out on your exclusive creative banners now uploaded to your AWIN section. Custom World Cup “celebration” & “cheer up” Banners now live in Awin’s Creative Menu! This wonderful issue with jam-packed with fresh project ideas, techniques, expert advice and prizes galore to be won! Also comes complete with a fabulous craft kit worth £50. Twin CD-ROM With seven fabulous digital collections, including a Go Digi collection from designed by artist Michelle Jackson-Mogford and exclusive digi stamp designs – the amazing content on this CD will cater for all occasions! Plus, we’re sharing a sneak peek of the brand-new Spectrum Noir inkpad range with over 1 hour of video tutorials hosted by Leann Chivers. Join Leann to learn a selection of inky techniques and follow the step-by-step tutorials to create beautiful all-occasion projects. Gemini Build-A-House Die Set: We’re excited to bring you our biggest ever die set! This bumper Build-A-House collection features 27-piece individual dies and has been cleverly designed to help you create your own custom houses, buildings and scenes, which look beautiful on cards, scrapbook layouts and 3D papercrafting projects. Accessories Stamp Set: We’re taking this issue’s Build-A-House theme to the next level with a 6” x 4” clear stamp set of co-ordinating accessories that is not available to purchase anywhere else! This must-have 28-stamp collection features a selection of textures, silhouette images and accent designs which lend themselves to a range of stamping techniques. We’re bringing on a ton of new craft products that your audience are sure to love in this latest instalment. We have a special focus on planning & journaling this week. This is the first time we have ever created an entire category dedicated to this subject so make sure to tell your blog visitors about this exciting new stock! From our research we have found that a lot of our audience start crafting for Christmas all the way back in July! To celebrate this we are also including a full list of all our recently launched festive craft ranges in this newsletter. PLUS a 68-page magazine where you’ll find 75 stunning designs made using your summer kit! From Heidi Swapp Planners & Box Kits To First Edition Planners, Washi Tape & Copic Markers – Explore Our Brand New Range Of Journaling Products. Beautiful environmentally friendly stamps, stickers, sequins, ephemera, embellishments & more! Want to make sure that you never miss a single deal or discount code? Sign up to our customer newsletter on the CraftStash site to keep in the know! In this latest newsletter we have got some of our most generous deals ever across our exclusive range of stunning Apple Blossom embossing folders, die cutting dies & stamps as well as a teaser of what’s to come this weekend! Beautiful festive dies, card, foil, embellishments & more. Are you as excited for Wednesday’s big sale as we are? We have created banners especially for this sale which can now be found in your creative section of AWIN. If you are having trouble finding these assets I’ll be happy to send them across along with more details - my contact email can be found at the bottom of this email. Do you know any other crafters or bloggers who would love to join our affiliate program? Get them to email me at the below address and I’ll be able to help them sign up quickly and easily. Free Delivery & Double Points Thursday 21st June! We are especially excited this week as we wanted to let you know in advance that we are running a free delivery & double points day this Thursday. We’ve even created multiple banners for you to use on your site to really get the attention of your audience. We’ve also included a ton of new offers with all the details included below. You can find any of the banners you need to promote Thursday’s offer under your creative in AWIN. In that section you will also be able to find all our logos and various long running customer offers. If you have any trouble at all finding the banners you need just let me know and I’ll be happy to send them across directly.